A new war is being waged in the smartphone market wherein manufacturers are trying to woo customers with ‘dual rear cameras’. This new trend comes after the successful trend of dual sim, fingerprint scanner and larger display which has been prominent in the earlier years. Samsung has announced the launch of a new smartphone Samsung Galaxy J7+ which simply follows the latest trend of ‘dual rear camera’ setup in the smartphone. A number of leaks has emerged earlier which gave hints that Samsung will be following the suit of other smartphone manufacturers who are bringing ‘dual rear camera’ smartphone as the new thing in the mobiles. Dual rear camera setup is the main highlight of Samsung Galaxy J7+ and this smartphone will help Samsung in competing against the similar devices with similar camera setup. It has one 13-megapixel rear camera having aperture of f/1.7 while secondary camera is of 5 megapixels with aperture of f/1.9 aimed at capturing information. Both of these cameras works together to offer a splendid photo quality which is certainly better than a single camera setup in many ways. This smartphone also has a 16-megapixel selfie camera with an aperture of f/1.9. 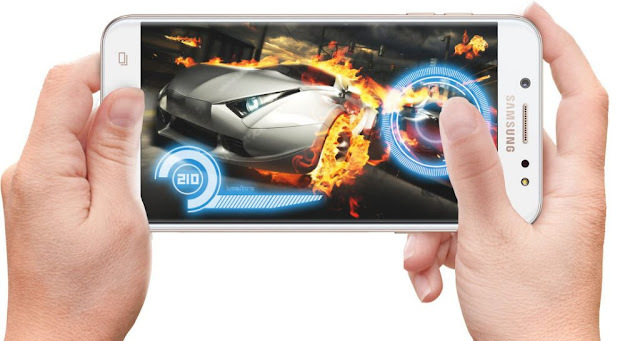 This smartphone doesn’t have different design rather it follows the similar standard design language which is found in almost all the Samsung devices nowadays. It does have a finger print sensor in the front along with a metal unibody design which has become a norm in the mid-range smartphone. On the connectivity front this device has 4G VolTE along with Wifi, Bluetooth 4.2 and GPS. This device sports a battery of 3000 mAh which is more than enough to last a day or two depending on the usage. Samsung Galaxy J7+ comes with a 5.5 inch Full HD Super AMOLED display with a 2.5 curved glass and it has a resolution of 1920 x 1080 pixels. This device is powered by MediaTek Helio P20 Octa-Core clocked at 2.39 GHz along with a ARM Mali T880 GPU. On memory front it has a 4GB RAM with internal storage of just 32 GB which can be easily expanded up-to massive 256 GB using a microSD card. Samsung will be the Galaxy J7+ in three different colors of Gold, Black and Rose Gold. Samsung Galaxy J7+ has just been launched in Thailand where will be sold at price of 12900 Thai Bhat which equals to $ 388. Currently this smartphone is in pre-order stage till September 2017 and it will start shipping in Thailand from 22nd September. Samsung has declined to offer any details regarding its availability in different regions. This time around Samsung is also offering free U Flex headphones with all the pre-booking. Tech enthusiasts are hopeful that Samsung will be launching this dual rear camera smartphone by next month in Indian market followed by others.